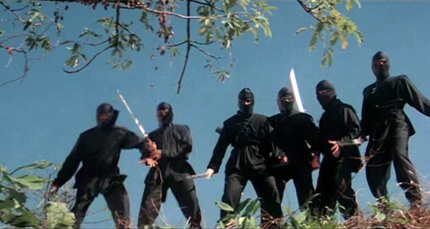 Ah, the Eighties, the Golden Age of cheesy action flicks. Rambo avengers, M16s. 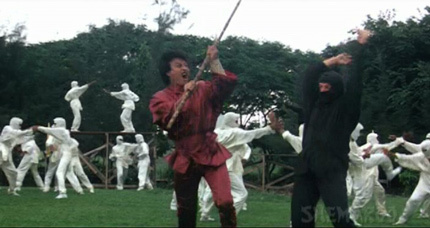 Red ninjas, white ninjas. Musical numbers. 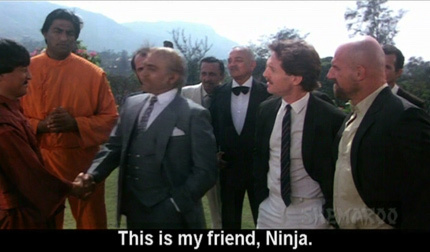 Yes, we've unearthed for your viewing pleasure a Bollywood Ninja film, courtesy of the team who brought you Disco Dancer and the Gunmaster G9 series of Disco James Bonds, and starring the King of Curry Puffs himself, Disco Dancer Mithun Chakraborty. It's Commando ("Commandooooooooooo!") from 1988, and if any mad masala takes its cues from the Cannon Films' ninja cycle, the music from Star Wars and The Good The Bad And The Ugly, steals the name of a Schwarzeneggar film, and restages the entirety of the 1968 Clint Eastwood war film Where Eagles Dare, you know you're in for a wild cable car ride. 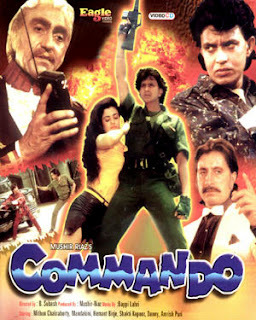 Commando opens with ten year old Chandu training with his soldier father to a musical montage. Sometimes son, the message goes, you must sacrifice yourself for your country's greater cause. "Commandooooooooooo………." Fate swiftly shows its hand - Father takes a bullet for Indira Gandhi, the Indian prime minister who had been assassinated in real life just four years prior to the film's release. Father is soon smoking on a funeral pyre, leaving behind one mad, babbling wife and a smouldering son who grows up fiercely patriotic, militaristic, and intent on getting revenge. 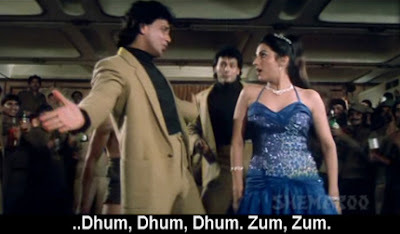 The headstrong adult Chandu is posted at a munitions factory, and despite being set up for the death of his comrades, he wins over the platoon and the heart of the factory's owner Asha (the stunning Mandakini, also in Mithun's Dance Dance), prompting more musical numbers from the Disco Dancer hit factory of Bappi Lahiri. He soon discovers, however, his employer is the same supplier his father's killer buys his guns from. And what a villain - Masaloni is some kind of Euro-Pakistani crypto-facist who hides in a mountain lair across the border, surrounds himself with a cabal international terrorists (read: white neo-colonialists), and has his own ninja school for the express purpose of bringing down the Indian way of life. At stake is more than national security as Chandu braves wave after wave of ninja assassins to bring down Masaloni, save his sweetheart and avenge his family's honour. One steadfast rule with Hindi films is that they dare not break their caveat with the audience. The romantic plot, with its endless twists of fate and musical interludes, is as important as the action narrative and is given equal screen time. In a sense, Bollywood gives you more than two movies in one - a comedy, a melodrama, a martial arts film and a musical. Trust me, at two and half hours we've been spared, as Commando could have been much, MUCH longer. 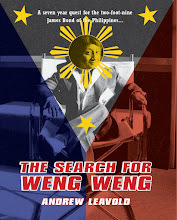 Keeping up interest is the way the film plays with populist Indian notions of Pakistani aggression and global conspiracies; Pakistan is never mentioned directly, only as a "neighbouring country" (very diplomatic). I also love the scattered, hair-brained way Commando buys into the whole Eighties Sho Kosugi ninja franchise - not that any royalties were paid for any borrowed merchandise - and introduces India's own Kosugi, Danny Denzongpa, an Indian from the Himalayan state of Sikkim (hence his trademark Asiatic features). Oh, and another word to the wary and soon to be weary: the subtitles vanish half an hour before the end. Not that they're needed; by then it's just one exploding bus after another. Thank you Mr Disco Dancer, you've done it again, introducing us to the world of Bollywood Ninjas with Commandooooooooooooo!